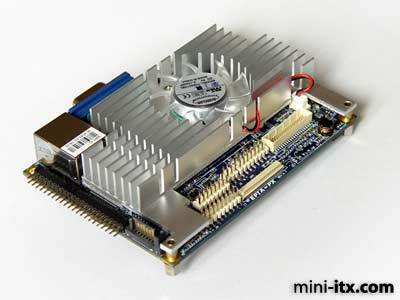 VIA EPIA PX 10000 Pico-ITX Motherboard is tiny low-powered computer measuring just 10cm x 7.2cm from Via Technologies. The PX10000 has been clocked at just 14W idle, or 16W under full load. 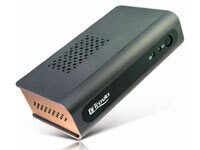 The PX10000 is much more of a modders low power PC, since its much more customisable than other low power PCs. e.g. you can change the case, storage device, input/output ports, etc. The PX10000 motherboard kit includes a 1GHz fan-cooled VIA C7 Processor, 4x USB 2.0 cable; 44-pin IDE cable; PS/2 Keyboard and Mouse cable; ATX to Pico-ITX power adapter cable; COM cable and mounting screws; DVI cable and Driver CD. The motherboard supports up to 1GB of DDR2 533 SODIMM RAM, and features Integrated UniChrome Pro II 3D/2D AGP with MPEG-2/4 and WMV9 Video Decoding Acceleration, VIA VT1708A High Definition Audio Codec, 10/100 Mbps Fast Ethernet Controller and a whole range of connectors to suite the vast majority of applications. Unusually for a small PC, the processor does feature a cooling fan, but in the performance tests, the fan is barely audible from a metre away. What does set the motherboard apart though is the range of cases that are available. 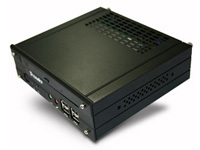 At the time of writing, there are 5 different cases available for the PX10000 at mini-itx.com (a few are shown below). 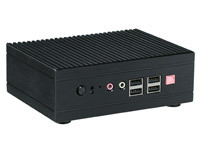 The VIA EPIA PX 10000 Pico-ITX Motherboard costs £182.85 inc. VAT in the UK, but should be available in other countries too. The device this small can be put in anything. The no linux drivers thing is a no go for me though. I’m really looking for a low power, low impact option for a low traffic linux server at home. Attach this baby to an ssd or CFtoIDE/SATA setup.